The annual Gorenflo's Cobia Shoot Out fishing event will be held April 29, 2017, beginning at Point Cadet Marina in Mississippi's beautiful Gulf Coast. The event is open to anglers of all experience, from beginner to expert, and makes a great opportunity to introduce the kids to the world of fishing. This event is sponsored by Gorenflo's Tackle and Marine Store, one of the leading suppliers of fishing supplies in the area. For those who wish to participate in the Cobia Shoot Out, the registration form can be found on the Gorenflo's website. This event is leading up to the huge Gorenflo's Cobia tournament which we be held the following weekend, May 5th through 7th, and will award some major cash prizes. The Gorenflo's Cobia Shoot Out one-day contest has a mandatory captain's meeting on April 28th at 7 PM where all registered captains are required to attend. 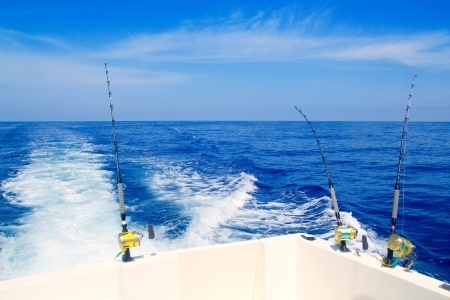 This annual fishing event marks the beginning of many fishing tournaments in the Gulf Coast area. For those who like to see the results, the fish will be weighed in at the marina to determine the winner. This one day event allows you try your hand at catching the Cobia, a fish that is challenging and exciting to catch. They can grow to over 100 pounds and if anyone has the opportunity to break the Mississippi State record and tournament record, which is held by a fish that weighed over 106 pounds, the prize will be a new truck and $25,000 cash.